Coat threads on pipe plugs (Figure 13, Items 3 and 4) with pipe sealing compound,. Polish end of crankshaft with abrasive cloth wet with engine lubricating oil. Install new cap screw (Figure 16, Item 1) into access hole. Install pipe plugs (Figure 13, Items 3 and 4) in flywheel housing (Figure 13, Item 1). 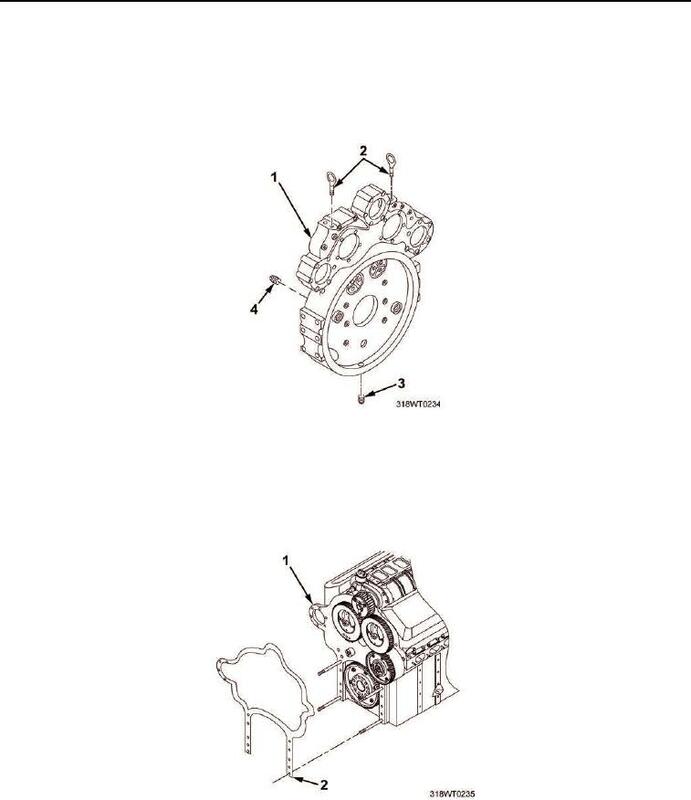 Install two lifting eye bolts (Figure 13, Item 2) on new flywheel housing (Figure 13, Item 1). Apply ultra blue sealing compound to seal surface of engine block end plate (Figure 14, Item 1). Install new gasket (Figure 14, Item 2) on engine block end plate (Figure 14, Item 1). Apply ultra blue sealing compound to gasket (Figure 14, Item 2).